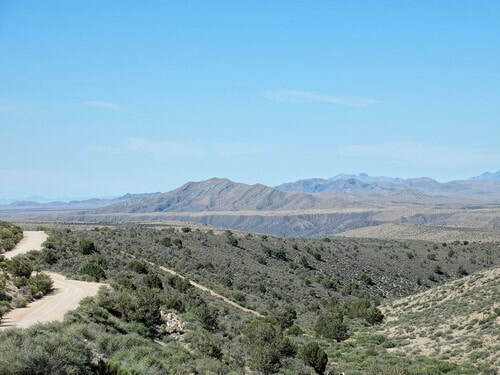 A mostly graded road taking you into the Bull Valley Mountains and the old mining area called Goldstrike, plus a slightly bumpier spur to the Lone Pine Arch. 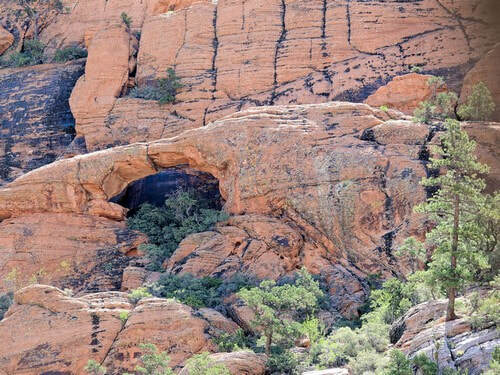 This is a chance to look over the country behind Gunlock Reservoir. 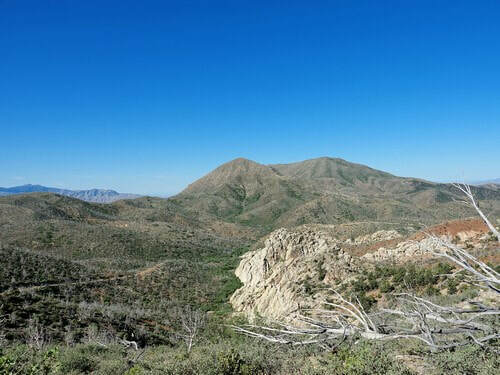 The trail starts north of the Reservoir, then rises to almost 6,000' before dropping down into a fork of the Beaver Dam Wash. 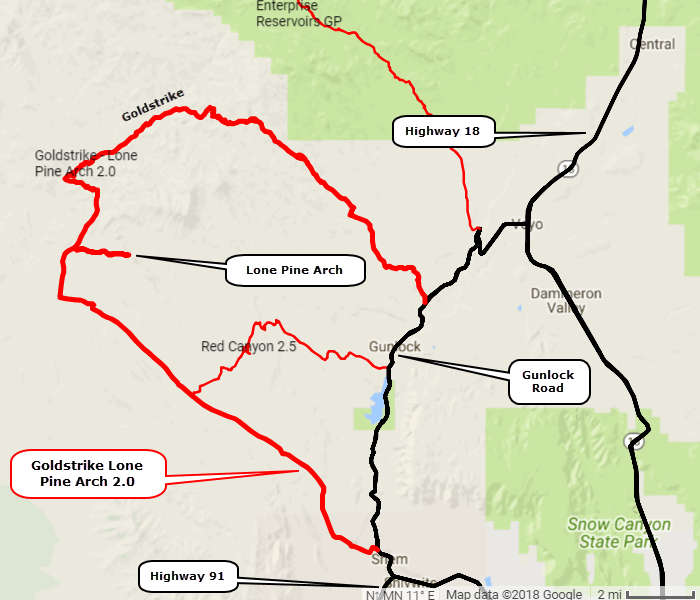 It then heads across lower country before ending south of Gunlock Reservoir. 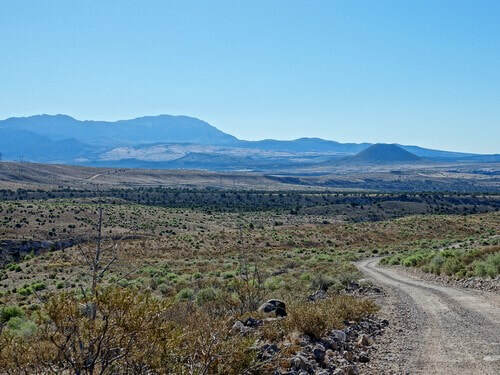 Start north of Gunlock and follow along Tobin and Grapevine Washes into the Bull Valley Mountains. Look back toward Gunlock for views of the Pine Valley Mountains. 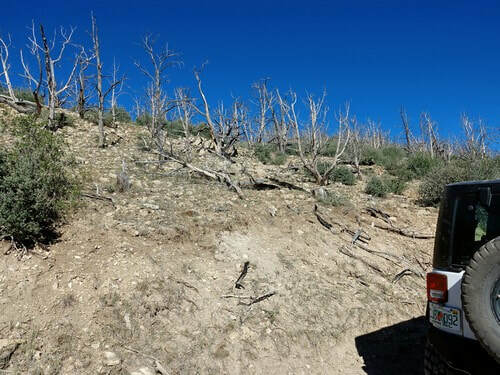 A large part of this trail shows evidence of somewhat recent fires. Most were from 2003 to 2005. This rock formation up in the highest part of the trip is named, surprisingly, "White Rocks". 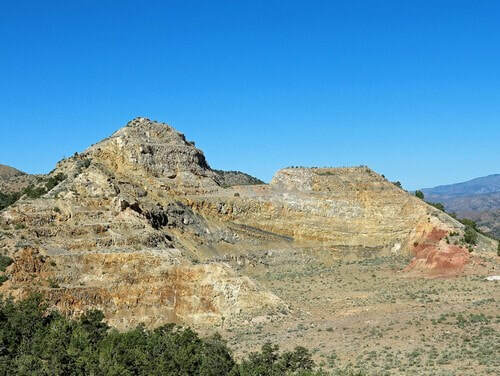 The Bull Valley Mountains/Goldstrike district was first discovered in the late 1800s with production peaking around 1910. The district then sat idle until the 1970s when there was renewed interested in the area by several different operators. Widespread exploration in the district included about 1500 drill holes and an extensive road network, according to project documents. 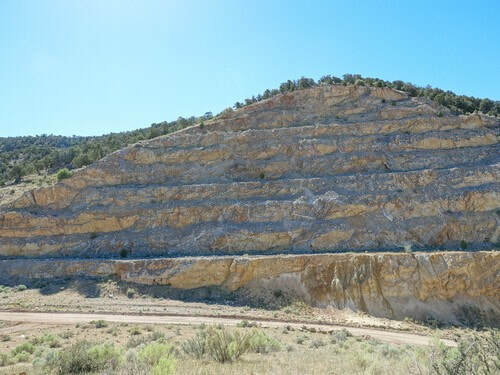 Genesis Gold Corporation was actively exploring the area when we visited in 2018. 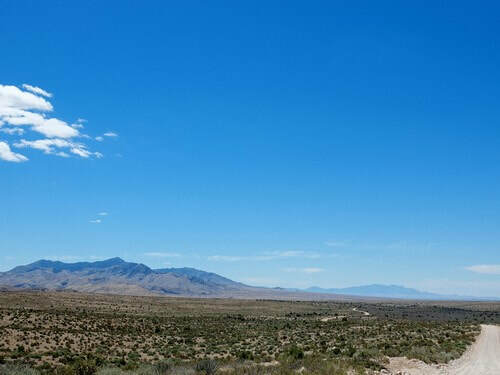 Shortly after leaving the mountains is a spur to the left that will take you to Lone Pine Arch. The end of the road is quite rocky and has a bit of loose sand, which is the reason for the 2.0 rating. The road goes to a good viewpoint for the arch, shown as the opening photo of this page. ​Back to the main drag and head for town. 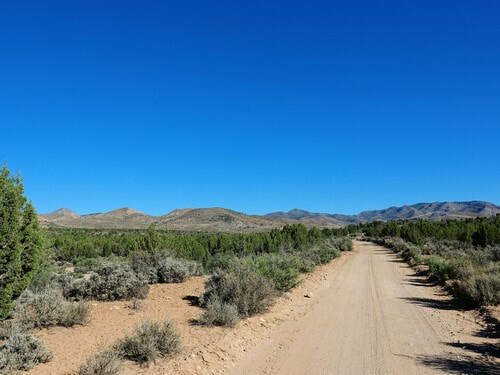 A wide graded road with views of distant mountains.